For over a year, Dear Evan Hansen has had the support of passionate fans on Broadway. Beginning in fall 2018, the show's been thrilled to make new connections in dozens of cities as it tours across North America. And now, the 2017 Tony-winning Best Musical want you to be a part of their exciting new journey. 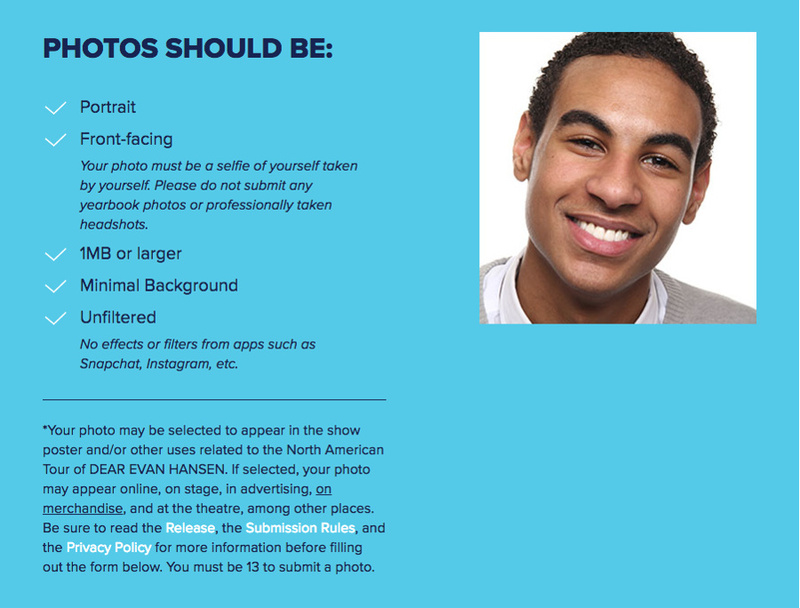 Send them a photo of yourself and you could be found on the artwork for Dear Evan Hansen in your hometown. • Unfiltered and no effects or filters from apps such as Snapchat, Instagram, etc. 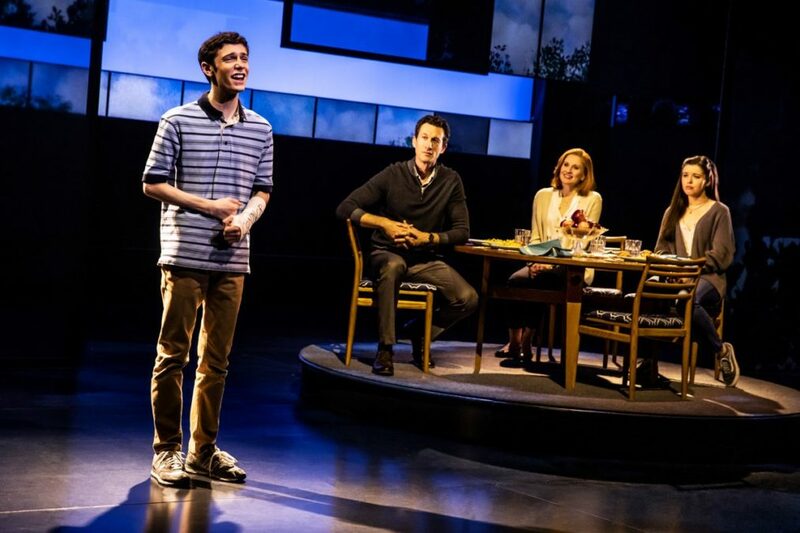 The winner of six 2017 Tony Awards, including Best Musical, Dear Evan Hansen features a book by Tony winner Steven Levenson, a score by Oscar, Tony and Grammy Award winners Benj Pasek and Justin Paul, and direction by four-time Tony nominee Michael Greif.